In today’s high-speed, fast-paced world many Americans are seeking new ways to reduce stress and find solace in their everyday lives. Many are enlisting in stress management courses, others are enrolling in yoga and meditation classes to help find inner peace. Certainly engaging in a daily exercise regimen will help you manage stress, as well as reducing your intake of alcohol, smoking and junk food, all of which may contribute to poorer health and may create less well being in the overall outcome. Popular online retailer WorldofWatches.com is offering another way to reduce stress with their Go Stress Free promotion taking place this week. 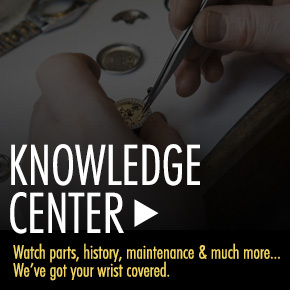 You can now purchase the watch you want and pay for it over time without any waiting or service fees. 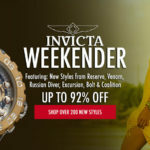 Over 500 popular men’s and women’s watches are featured in the week-long event, including highly sought-after styles from Breitling, TAG Heuer, Invicta, TW Steel, Swiss Legend, Frederique Constant, Eterna, Lucien Piccard, Hublot, Graham, Luminox, Chanel, Montblanc, Movado, Raymond Weil, Perrelet, Lucien Piccard, Accutron by Bulova and TechnoMarine. No matter if you are looking for an up-to-the minute fashion watch for the special lady in your life or a precision crafted automatic chronograph for yourself, you’ll find just what you’re looking for and have the opportunity to pay for it in monthly installments over time. 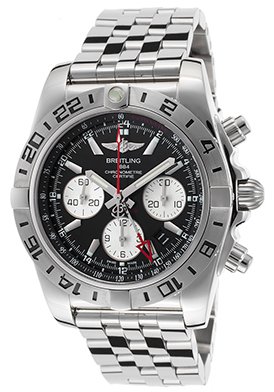 The Breitling Chronomat 44 GMT automatic watch is an excellent choice. This bold and masculine Swiss-made men’s chronograph is a certified Chronometer, a certification of precision awarded by the COSC (Official Swiss Chronometer Testing Institute). The highly pronounced case in premium-grade stainless steel is presented on a matching multi-link bracelet in polished, premium grade stainless steel. The bidirectional rotating bezel with engraved markers surrounds the black dial with three silver colored subdials, luminous hands and independent GMT hand and polished silver-tone hour markers. Quality Swiss-made automatic movement inside assures you of precise time-keeping accuracy. Chronograph is 44mm in diameter and 16mm thick. 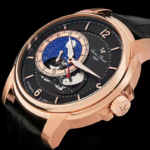 Free shipping and returns are included on all purchases within the continental US at WorldofWatches.com. Only 5 Days ‘Til Father’s Day: Find The Perftect Gift At The Perfect Price.